Central Islip has a population of approximately 35,000 people. Whether you are new to town, or visiting the Bethpage Ballpark. Don’t let a toothache knock you down. Fortunately, Central Islip has a great selection of dentists that can get you up and running once again. We know you may find it difficult to find a dentist you that you can trust when you are far from home. Central Islip makes it easy with a large selection of general and pediatric dentists to choose from. Most of Central Islip’s general dentists can get you in the same day when you have a dental emergency. If your new dentist finds something that requires a specialist, we also have a great selection of orthodontists, cosmetic dentists, oral surgeons, and much more. Description: The office of Natalia Elson DDS is a general dentistry practice serving adult and pediatric patients. The dentist at Natalia Elson DDS is experienced in all aspects of general dentistry including preventative dental services, fillings, crowns, bridges, extractions, dentures, implants, and so much more. If your new dentist determines that you are in need of specialized dental services she will be happy to refer you to one of her friendly colleagues. Description: Terrace Dental Associates is a general dentistry practice located in Islip Terrace. The dentist at Terrace Dental Associates offers same day and next day appointments for your dental emergency. Dr Vittoria is experienced in all aspects of general dentistry including preventative dental services, fillings, crowns, root canal therapy, extractions, dentures, and much more. If your new dentist determines that you are in need of specialized dental services he will be happy to refer you to one of his friendly and. Description: East Islip Dental Care is a full general and cosmetic dentistry practice. The dentists at East Islip Dental Care offer same day, extended office hours, and weekend appointments for your dental emergency. 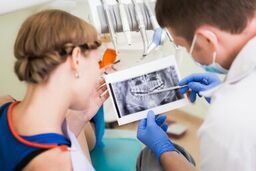 The general dentists at East Islip Dental Care are experienced in all aspects of my dentistry including preventative dental services, fillings, crowns, root canal therapy, extractions, dentures, implants, Invisalign braces and much more. If your new dentist determines that you are in need of specialized dental services he will refer you to one of his friendly in house colleagues. Before you visit a new dentist in Central Islip please take a moment to verify that your new dentist’s licenses and credentials are active and up to date. To do this, you should visit the New York Dental Association’s website and perform a search of the dentist’s name and licensing information. If you are running short on time ask your new dentist’s receptionist, and she will be happy to assist you with obtaining these documents.